Tanzania is a very poor country. Despite efforts to eradicate discrimination, against disabled youth in particular, the country is still far from fully complying with the International Convention on the Rights of the Child. Despite significant natural resources and a considerable influx of tourists, the economic situation in Tanzania is not satisfactory. A large part of the population, particularly those living in rural areas, still lives under extreme poverty. 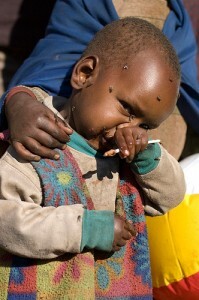 malnutrition and more than 70% suffer from more or less severe anaemia. In Zanzibar, attending school is compulsory during the first ten years, six in primary school and four in secondary education. However, this is not guaranteed by any legal measures. Children living in rural areas are mostly unable to go to school because transport to school is sometimes non-existent and there is no aid to fund their trips. Moreover, the costs of education, such as the costs of uniforms and fees, exclude the poorest children and contribute to higher drop-out and absenteeism rates. Also, the existing infrastructure is not sufficient for quality education. These factors lead to a decrease of the once high number of children registered in primary education from 90% in 1980 to 77.8% in 2006. 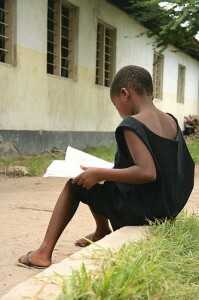 In addition, 20% of children aged 10 to 14 do not attend school and many end up working. Despite the government’s great efforts to improve access to healthcare, the quality and availability of services remain a problem, mainly due to the lack of human resources and infrastructure. Every year, 250.000 children die of minor illnesses as their immune system is weakened by malnutrition and care centres are too far away. Consequently, the rate of infant mortality is very high, especially among the youngest. The new-born represent 29% of deaths before the age of five. The main causes of this mortality are, in descending order, malaria, anaemia, pneumonia, prenatal conditions, diarrhoea and HIV/AIDS. Moreover, the quality of health services remains problematic because of a number of factors, mainly the lack of human resources and unsatisfactory medical infrastructure. On the other hand, HIV/AIDS has led to a large number of orphans: in 2008, almost 11% of children under 18, a total of 1.3 million children, had lost at least one parent. The economic situation of families becomes very difficult as a result, and responsibilities become very heavy for the survivors, particularly the children. 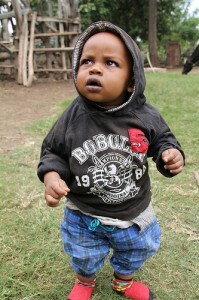 Despite Tanzania’s efforts against child abuse, advocacy and prevention are generally inadequate. In fact, many are exposed to psychological, physical and sexual violence, often committed by relations in their own communities, schools or at home. The results of investigations on abuse against children revealed 307 cases in 2009, 9% of these were related to sexual abuse, 26% to violence and physical abuse, 32% to neglect and 13% to psychological abuse. Girls are particularly vulnerable because of discrimination against women and a greater risk of sexual abuse. Moreover, corporal punishment practices were identified in around 50 schools. The perpetrators of such violence are ignoring the directives of the Ministry of Education, traumatising pupils to the point of causing them to drop out of school. Corporal punishment is still allowed under a 1930 law, and is the most common type of punishment imposed by the courts for persons under 18 years of age for almost all kinds of offenses. This penalty is in fact considered non-custodial and uncomplicated to apply. A minor (under 16 years) can receive up to 12 cane strokes, and 24 strokes after the age of 16. 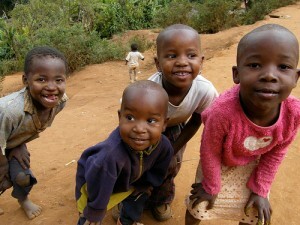 In Tanzania, many little girls are still victims of genital mutilation. Tradition dictates that women are circumcised and therefore, 28% of girls are victims of this practice from the age of one year. 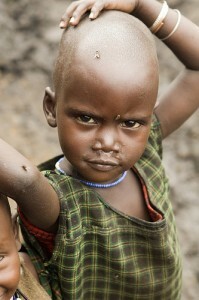 Circumcision is mostly done under terrible hygiene conditions that can lead to infections. Moreover, this barbaric act can cause psychological traumas that are never treated. There are a number of harmful traditional practices in Tanzania. They include early marriages and forced marriages. Although child marriages have been continuously declining over the last few years, little girls are still forced to marry, sometimes as young as 12 years old. These marriages have serious implications for the little girls who do not understand the importance of such a commitment and the obligations it entails. Also, some are raped and abused by their often older husbands. At Dar es Salam, an estimated 3000 to 5000 children live on the streets. It is the country’s largest city, where children flock from every direction in the hope of escaping the misery and violence of rural areas. This phenomenon has been constantly rising due to rapid urbanisation. Although their age varies from under 5 years to 18 years, most of these youth, of which 80% are boys, are aged between 7 and 14 years. The majority are illegitimate children, or come from broken families. They live on the streets. Other factors contributing to this phenomenon include violence within the family, poverty, disintegration of family values, alcoholism, and most recently HIV/AIDS. The city holds many dangers for children. They are particularly vulnerable to prostitution, sexual abuse, and therefore, to HIV/AIDS. They are also easy prey for child traffic networks. 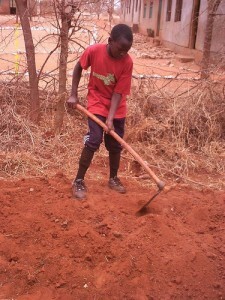 According to Tanzanian law, it is prohibited to employ children below the age of 14 for light work, and to employ children below the age of 18 for hazardous work. 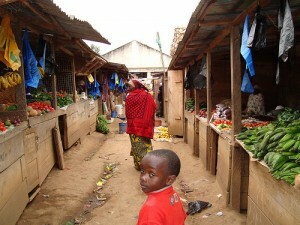 However, in the capital Zanzibar, the prospect of making easy money pushes families to send their children (mostly under 14 years of age) to work rather than sending them to school. Other families prefer their children to work at home or on the farm. In urban areas, most serve tea or sell snacks, others are employed in the hospitality industry and tourism. In rural areas, children work in more difficult conditions; they work in clove plantations, in seaweed farms, or in mines. 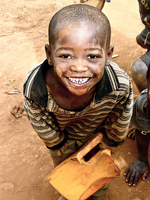 In the villages of mining areas, the school drop-out rate is very high: 30-40%. Birth registration is compulsory for all children born in Tanzania, whether citizens, non-citizens or refugees. Despite this, only 19% of births are registered with a large disparity between urban and rural areas. Today only 7% of children have a birth certificate. This is due to the lack of public awareness of the importance of birth registration and the process to follow. On the other hand, costs are discouraging and include, among other things, a penalty fee for late registration, a fee for the birth certificate ($3.50) and travel costs. Between 2008 and 2009, 2692 children under the age of 16 passed by centres of preventive detention; more than half of them were locked up with adults despite legal measures that stipulate separate cells. The majority were accused of theft or robbery. These detention homes face many problems and are not adapted to children. The infrastructure is in bad shape and the quality of water and hygiene inadequate. The cells are also overcrowded.